If looking for a lower-carb, nutrient-and-protein-dense dinner, look no further. 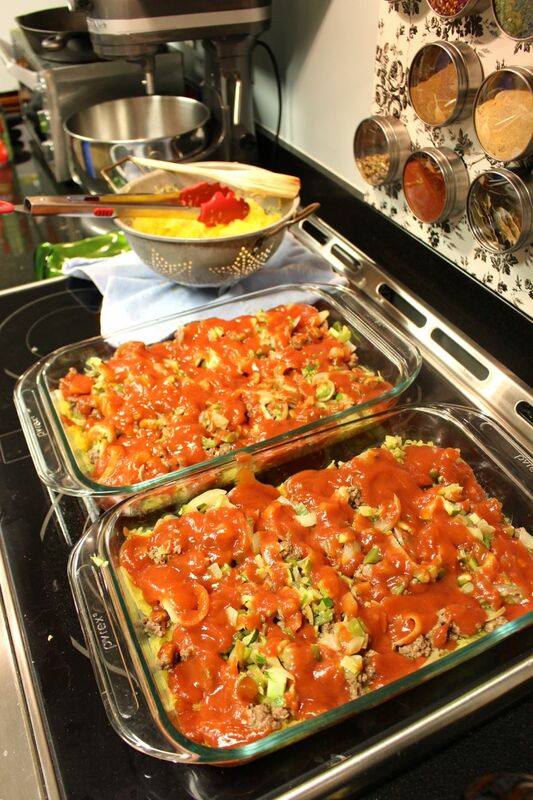 My husband came up with this adaptation based on his mom’s traditional lasagna recipe, and we’ve never looked back. If you cook the meat ahead of time, too, (BONUS) you can easily freeze this and have a quick dinner for another night down the road. This is also, obviously, gluten-free (awesome!) and can be adapted to suit whatever additional veggies or fillings you’d like to include. Step 2. 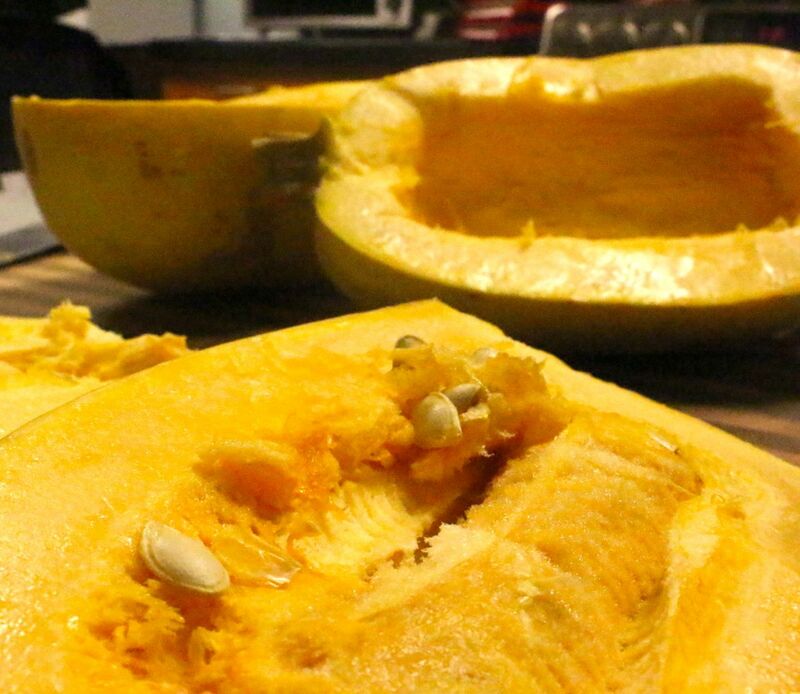 Scoop out the seeds and stringy pulp in the center, and discard. 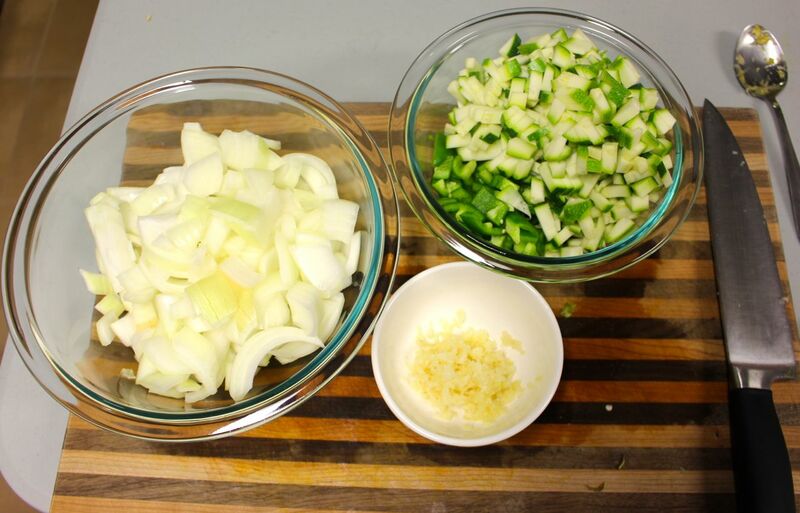 Brush each half with olive oil, sprinkle with salt and pepper to your taste. Step 4. 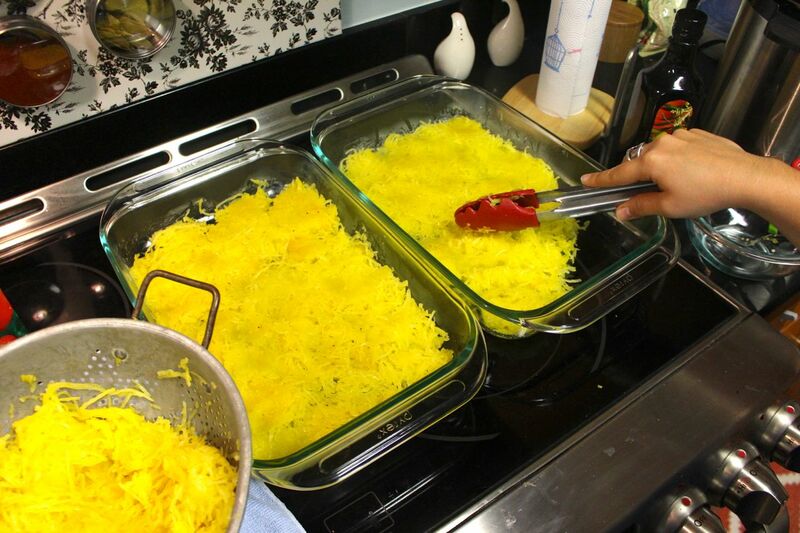 Place squash halves face-down on a cookie sheet and bake at 400ºF for 30-40 minutes, or until the flesh can be easily shredded with a fork. Step 5. 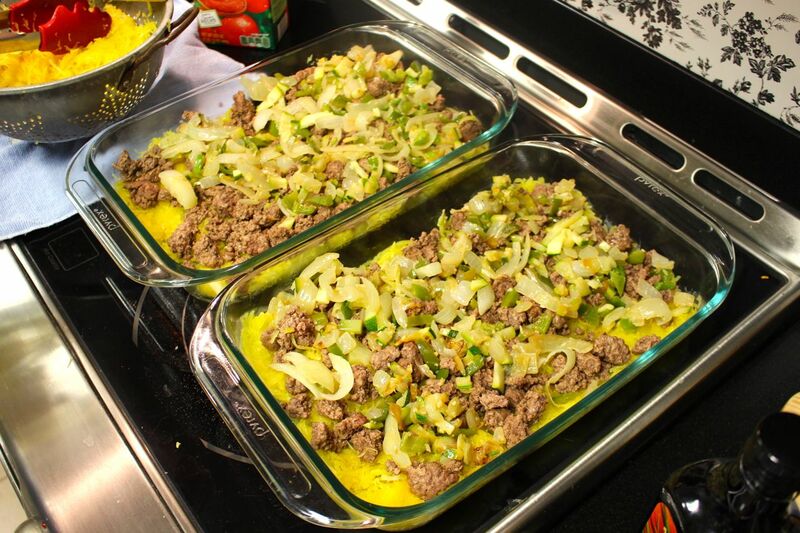 While the squash is baking, brown the ground beef (or ground meat of your choice; ground turkey is excellent in this recipe) over medium-high heat. Remove from heat and set aside. Step 6. 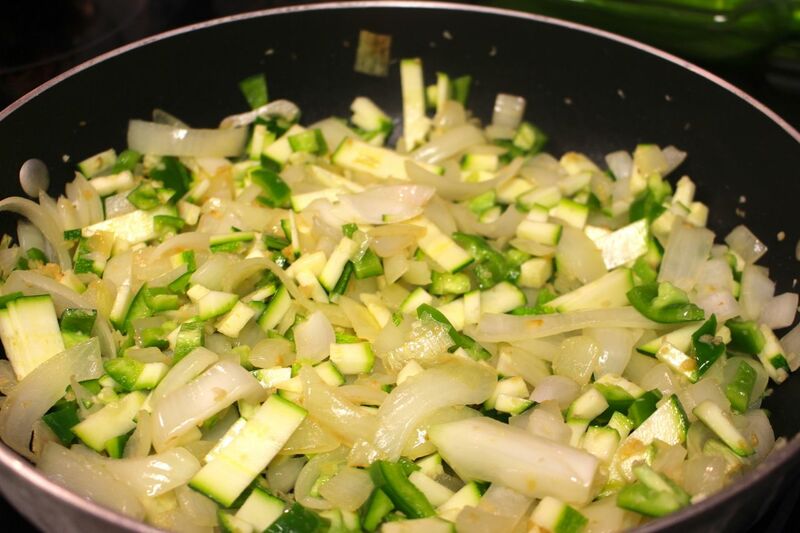 Chop additional vegetables (if using) and saute over medium-high heat with a little bit of olive oil, or until the veggies are just cooked through. Remove from heat and set aside. Step 7. 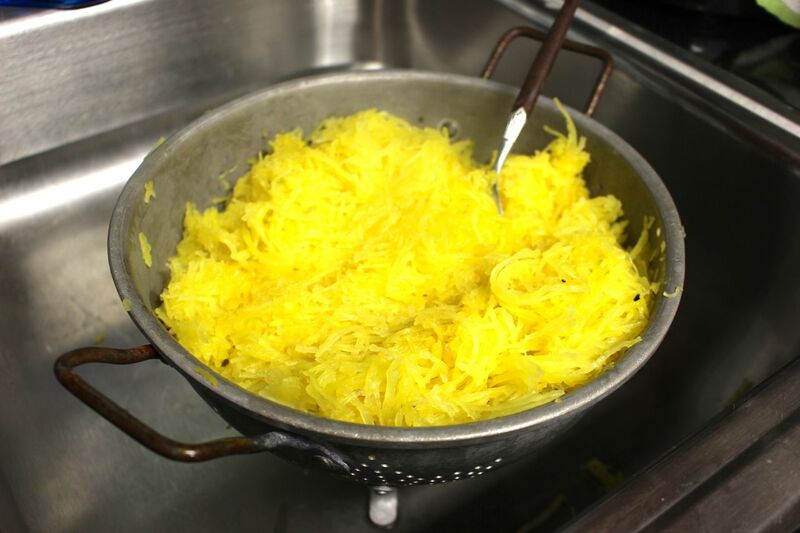 Once the squash has finished cooking, use a fork to shred the flesh into “spaghetti”. I like to shred into a colander, so the excess liquid can drain. This prevents the bottom of the lasagna from getting too soggy during baking. 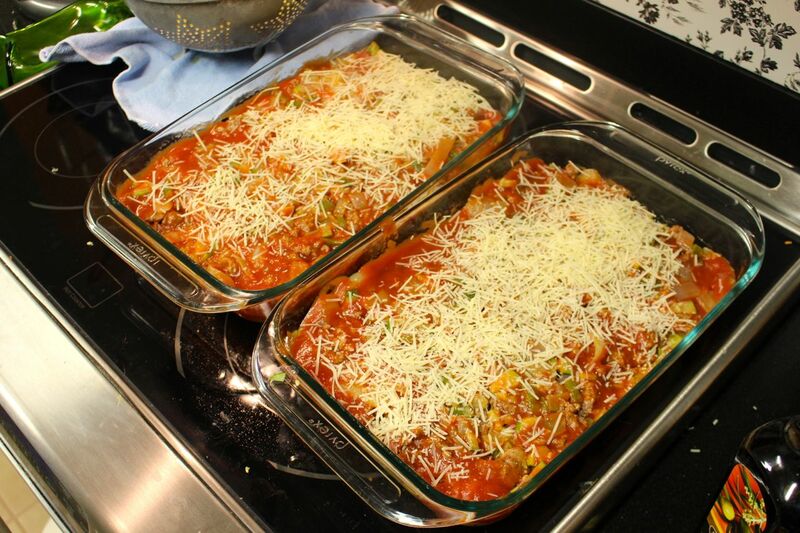 Step 8: Reduce your oven’s temperature to 350ºF. Step 9: Now it’s time to assemble! 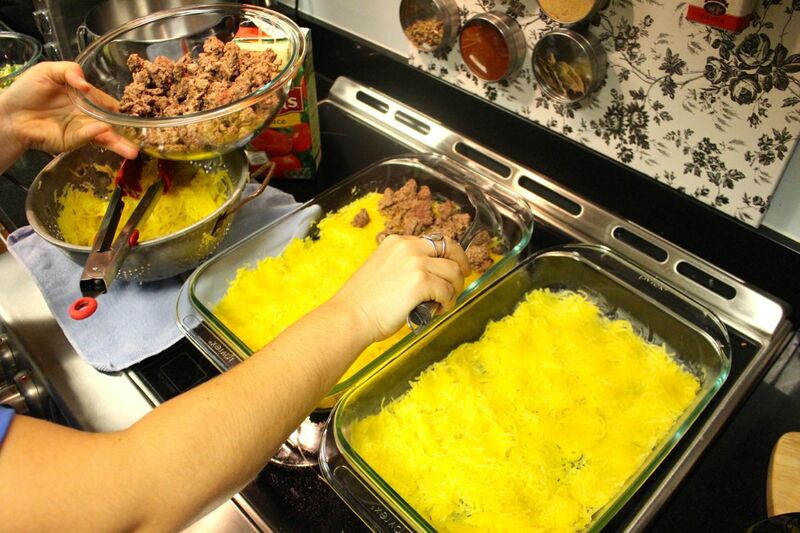 Start by lighly greasing a 9×14 baking pan (we love our pyrex dishes for this recipe), then add a thin layer of spaghetti squash to the bottom. I like to use tongs for this because it helps me spread out the “noodles” evenly. 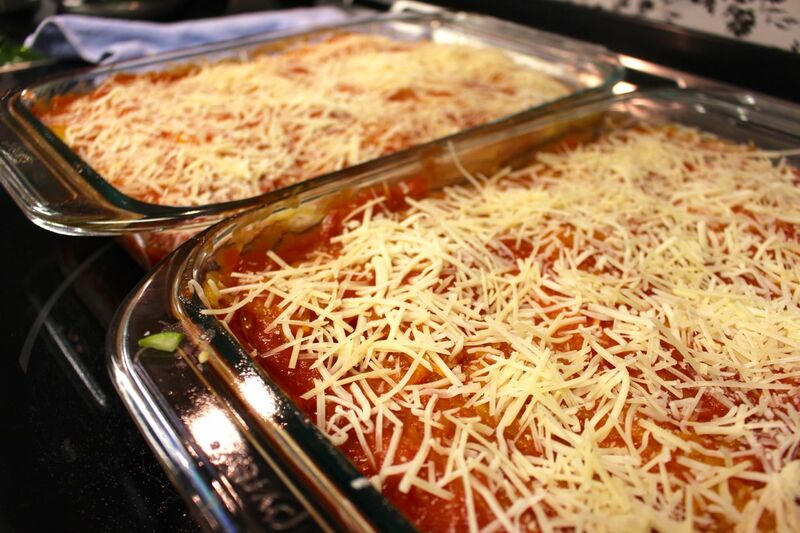 Next, top with the tomato sauce, and use a spatula to spread it evenly across the layers you’ve already made. 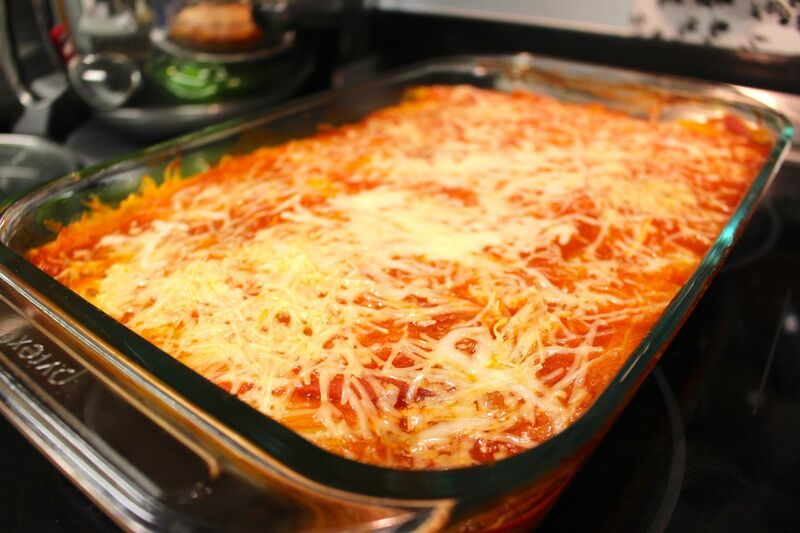 …and then repeat with another layer of spaghetti squash, tomato sauce, and cheese. Step 10. 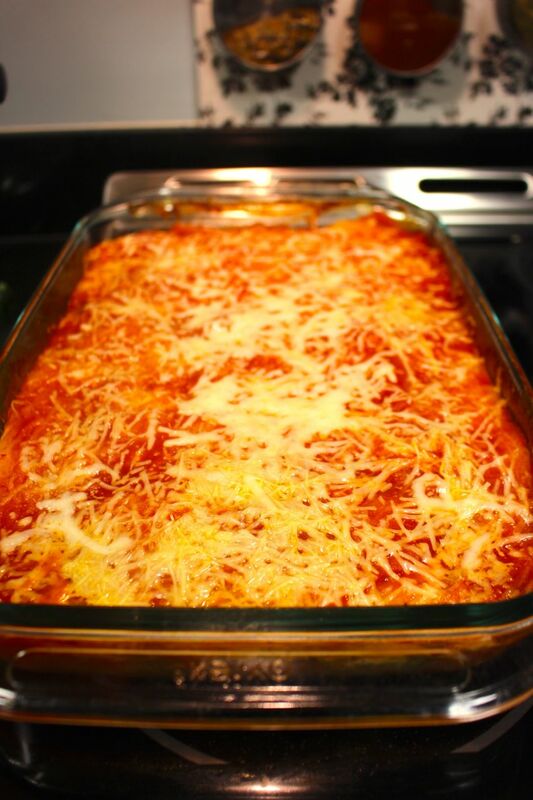 Bake your lasagna at 350ºF for 30 minutes, or until the lasagna is cooked through and the cheese is melted. You could also broil the top a little bit if you’re feeling fancy, to get that crispy-melty cheese top. Yumm. Step 11. Eat and enjoy! I was thoroughly impressed with this dish. I fixed it for dinner tonight and everyone was impressed. The instructions were easy to follow and the results were delicious. It’s a keeper for sure. Thanks Little Red Kitchen! Michael, I’m so glad you tried it (and even more glad that you loved it)!! Thank you so much for sharing– I hope things are going well down your way!